There is more and more data available about transportation, traffic, roads, and mobility. From real-time traffic sensors and CCTV streams to social media posts and crowdsourced maps, this wealth of Big Data resources could greatly improve road safety, help reduce CO2 emissions, shorten commutes and deliveries, and ultimately enhance the quality of life in any European city. Our mission in QROWD is to create a socio-technical platform for local authorities, service providers and citizens to make all this happen. The platform will collect, curate and analyse multiple Big Data sets using a combination of Linked Data and crowdsourcing techniques. It will offer a range of core capabilities that support decision making and enable the participatory design of novel location-based apps and transportation policies. 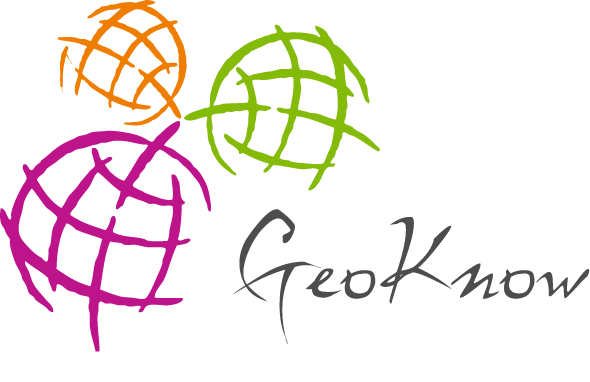 GeoKnow EU project (2013-2015) has contributed with the GeoKnow Generator which is a stack of tools for bringing geospatial data to the Web of Data. These software tools are available in the Debian repository of the Linked Data Stack. Together with these tools GeoKnow team has developed the Generator Workbench which is an unified interface for using these tools. This workbench offers several enterprise-ready features such as authentication and data access authorisation. Linked-Data-basierte Kriminalanalyse (Linked Data based crime analysis). Project funded by BMBF. AI4BD the successor of ONTOS is a subcontractor of Fraunhofer. The Web not only gives rise to new forms of crime, it also enables new technology for crime investigation. Suspects leave traces on the Web, items are being sold and bought on the Web, and a wealth of public open data about organizations and places is available on the Web. LiDaKrA aims at a holistic approach to extract, network and fuse crime-relevant information from public and private sources such as: the Web in general, the Social Web (social networks, blogs or wikis), Deep Web (eCommerce databases such as ebay or Amazon Marketplace), Dark Web (informations from the Tor network), Data Web (open data such as DBpedia or GeoNames). The technical components will be implemented in an integrated platform and will be evaluated in concrete use cases with multiple stakeholders from crime investigation authorities.